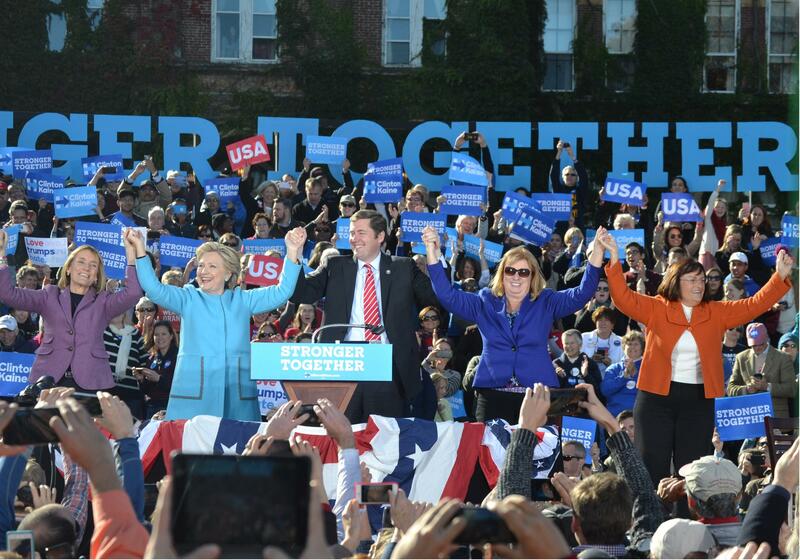 At a rally Monday at Saint Anselm College, Hillary Clinton asks the 4,000 person crowd to vote for her but also all the other Demcrats on the ticket. Hillary Clinton urged people to not stay home on Nov. 8th - says "Our furture depends on it." 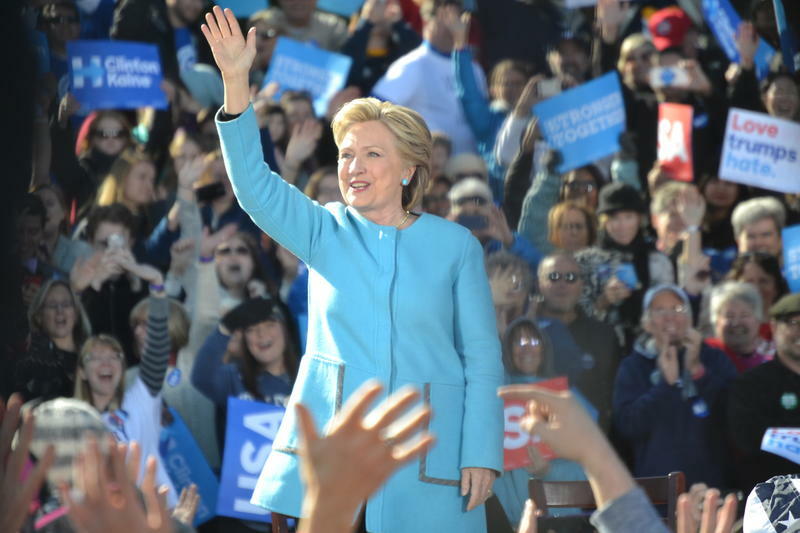 More than 4,000 people came out to see Hillary Clinton in Manchester on Monday, Oct. 24, 2016. 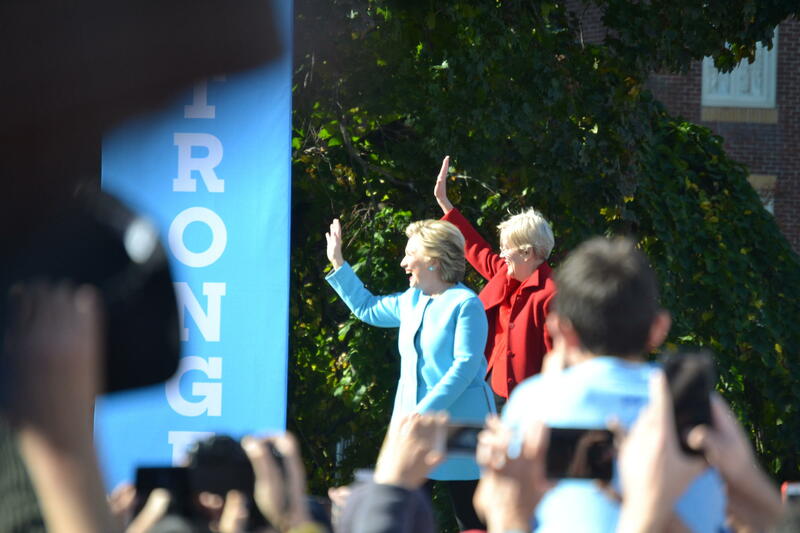 Hillary Clinton and Massachusetts Senator Elizabeth Warren took the stage to "Ain't no Mountain High Enough." Massachusetts Senator Elizabeth Warren went hard after Sen. Kelly Ayotte calling her weak for her flip-flopping support for Donald Trump. Mike Munhall (left) and Jon Manley (right) say they're confident Hillary Clinton will secure a win next month. Jim McCormick of Nashua says the thought of Donald Trump being President will drive him to make calls on Clinton's behalf these next two weeks. 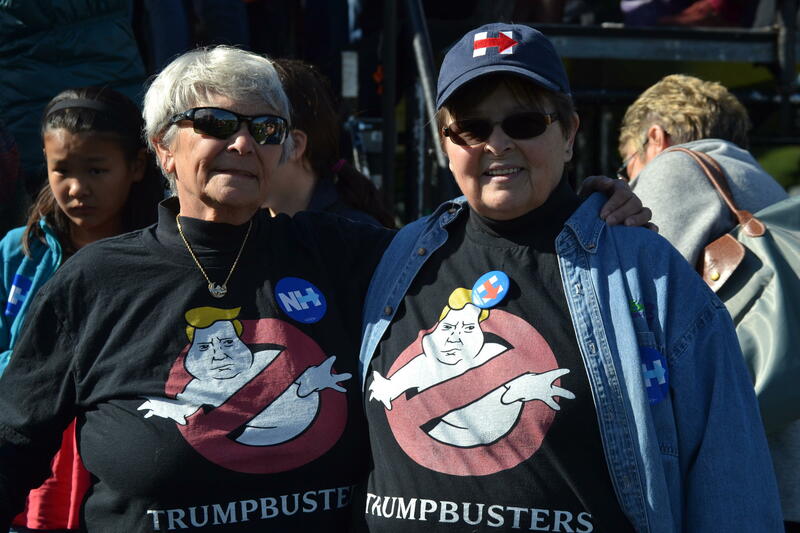 Pam Hibbs (left) and Donna Butler (right) of Maine were sporting "Trumpbusters" shirts at Manchester's rally. New Hampshire Democrats presented a united front Monday at a rally with Hillary Clinton in Manchester. But it wasn’t just Clinton these politicians were urging voters to get behind but the whole Democratic ticket. Listen to the radio version of this story. “What brings you here today?, NHPR's Paige Sutherland asked Deb Bauman of Kennebunkport, Maine. “I wanted to see our next President,” Bauman responded with a smile. The latest polls show Clinton with a double digit lead against Republican Donald Trump and for many Democrats their focus is shifting down ticket. Like Mike Munhall of Bennington who said he feels confident Clinton will win so now the job is securing her a Democratic Congress. “Without a Democratic Senate and hopefully a House too, she is not going to get much done because McConnell is going to block her just like he blocked Obama,” Munhall said. “What I love about Maggie is that she is independent, she knows how to find common ground and how to stand her ground and that is exactly the kind of leader we need in the United States Senate," Clinton said followed by loud cheers. And when Massachusetts Sen. Elizabeth Warren took the microphone, she singled out Hassan’s opponent, Ayotte, calling her weak. 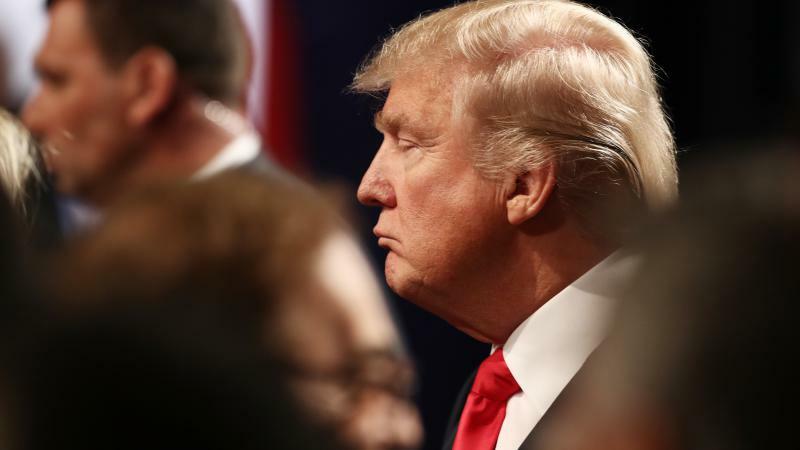 “Well I will say one thing – Donald Trump sure has made Kelly Ayotte dance. Day 1 she loves him, day 2 she hates him, day three she’s back with him – boy [she] spins round and round," Warren said laughing. Ayotte rescinded her support after Trump’s remarks on women earlier this month. Ayotte said unlike Hassan, who she says will support everything Clinton does, she’ll be an independent voice in the Senate. 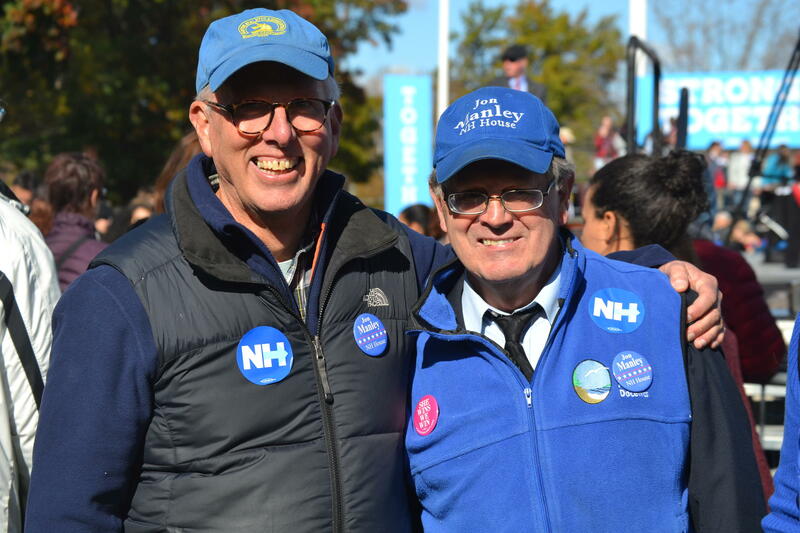 Both Clinton and Warren also urged voters to get behind gubernatorial candidate Colin Van Ostern, and congressional nominees Carol Shea-Porter and Annie Kuster. And as Monday’s event got underway, they all lined up on stage, hugging each other and waving at the crowd. But for Lowell Alexander of western Massachusetts, the focus stayed on Clinton. He said it’s important Democrats win up and down the ballot but securing the top position is his priority. That’s why he plans to put in a lot of long hours these next two weeks canvassing in New Hampshire for the United Steel Workers. “If you can crush him, crush him because the closer it is the more of his supporters are going to say it was rigged," Alexander said of Trump's claims that the election is rigged. 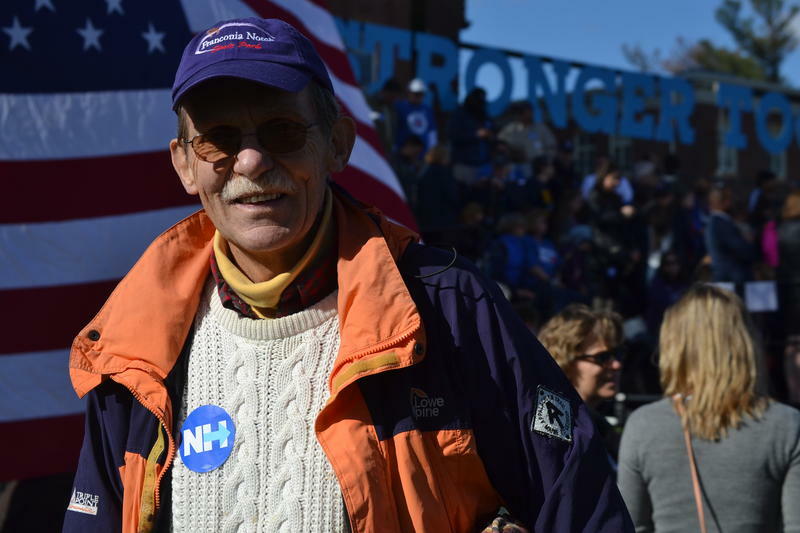 Jim McCormick, 79, of Nashua says he’ll be making calls every day on Clinton’s behalf. “I shutter at the thought – can you imagine this person on the international stage insulting everyone on stage – it’s a real fright," McCormick said. With just two weeks left until the election, Democrats hope that sentiment might bring even more of the party’s supporters to the polls on November 8. Republican presidential nominee Donald Trump had one job in his third and final debate with Democratic nominee Hillary Clinton: break out. He needed to break out from the narrative that is fast enveloping his campaign — the way evening overtakes the late afternoon. He needed a breakout performance showing himself to be disciplined and knowledgeable enough to be president. Let's make one thing clear: Three weeks out from this election, Hillary Clinton is winning — and it's not close. Yes, people still have to vote, but if Democratic groups come out — and the Trump scorched-earth campaign is more like a white flag than an actual strategy — Hillary Clinton will be the next president of the United States unless something drastic changes between now and Election Day. Hillary Clinton is returning to New Hampshire campaign stop with just about two weeks to go until Election Day. 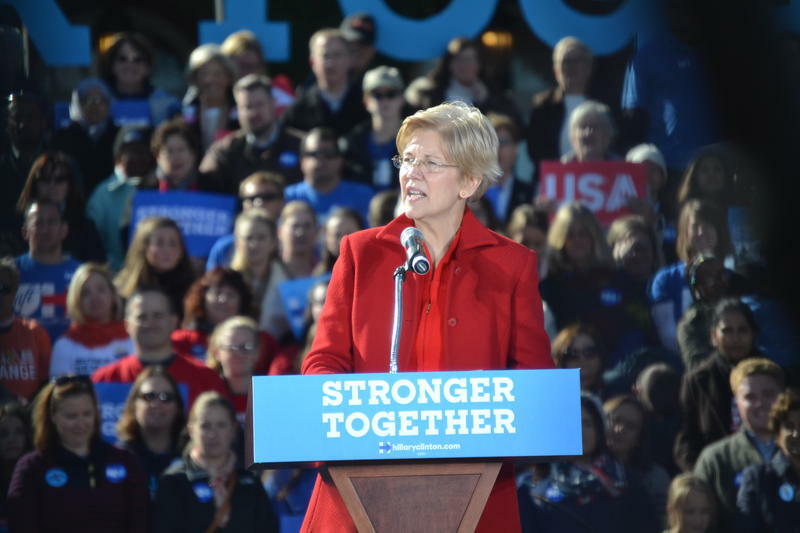 The Democratic presidential nominee will campaign in Manchester on Monday alongside Massachusetts Sen. Elizabeth Warren. 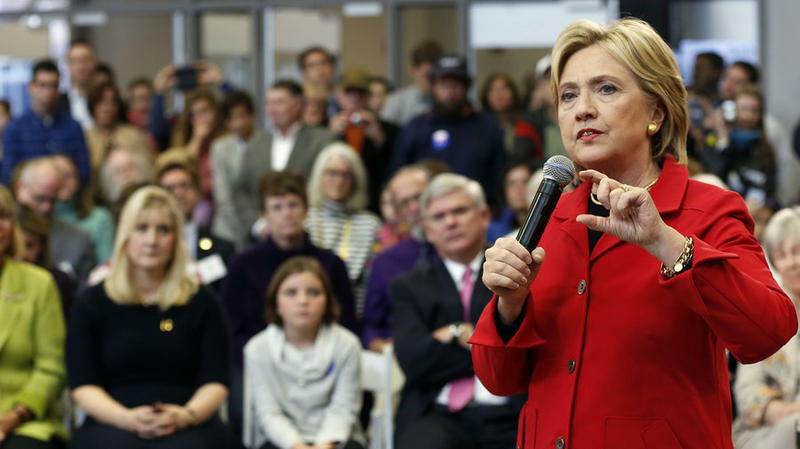 This is Clinton's third trip to New Hampshire since July. Clinton campaigned alongside former rival Bernie Sanders in both of her previous trips, reflecting her attempts to reach out to the supporters who propelled Sanders to a win in the February primary. 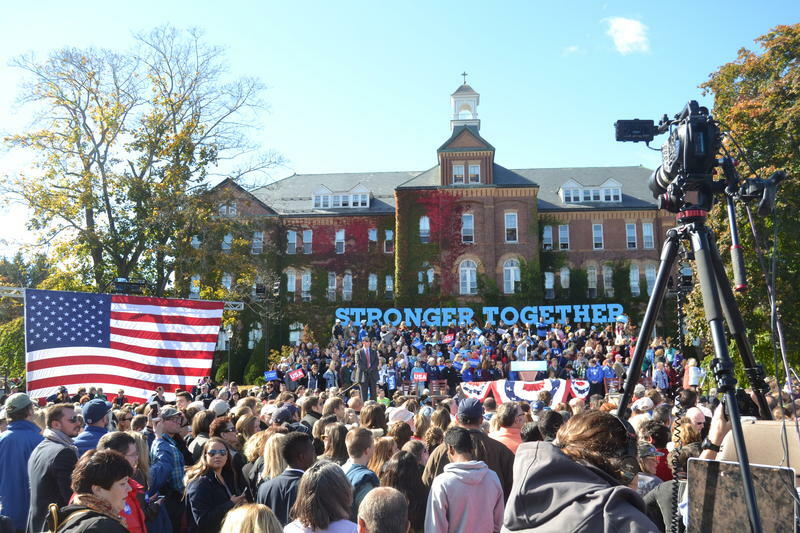 Clinton and Warren are hosting a 12:30 p.m. rally at Saint Anselm College.